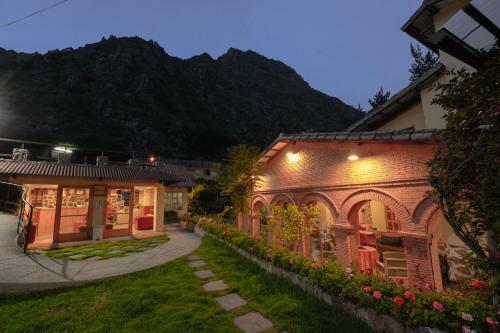 Best Hotels in Ollantaytambo - Sacred Valley Hotels! Nestled in the centre of the Sacred Valley, Ollantaytambo is a fantastic little town that provides a great destination to stopover en route to Machu Picchu. The town is conveniently situated near the railway that takes visitors from Cusco to Machu Picchu and is also very close to the starting point for Inca Trail trekkers. Because Ollantaytambo is 1,000m below Cusco (which is 3,400m above sea level), it provides a very good location to begin the acclimatisation process. 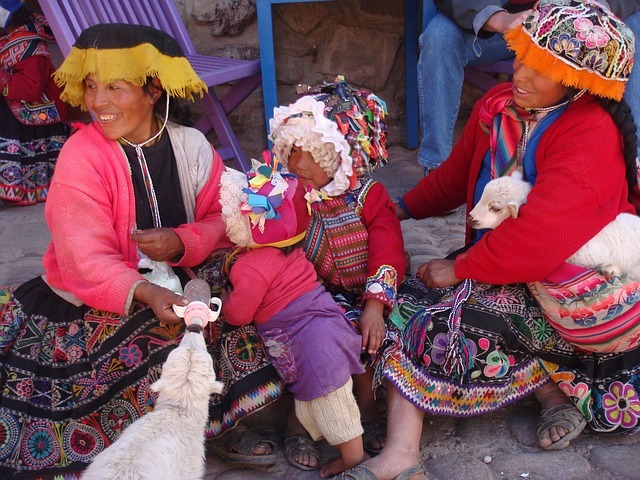 In fact many visitors to the region travel directly to the Sacred Valley after landing in Cusco to reduce the likelihood of experiencing altitude sickness. In this short article we have provided reviews and recommendations on the best hotels in Ollantaytambo. To help you find a hotel / hostel that is right for your tastes and budget we have separated our recommendations into three categories – cheap and cheerful, more comfort, and luxury / premium. 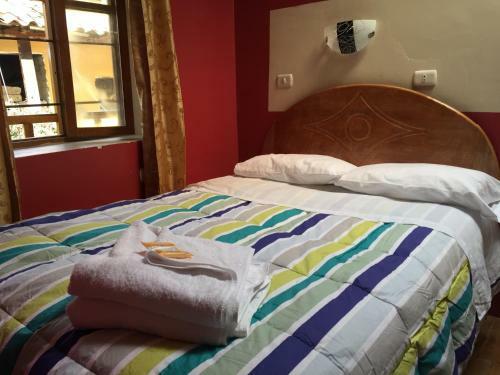 Located next to the main town square, this hostel offers very nice stay. You can enjoy your breakfast to the singsong of the hummingbirds in the garden. The rooms are very clean and you get lots of blankets for the colder nights. Located close to the train station, this super affordable hostel offers a charming quiet place of rest. Breakfast here was great and beds very comfortable. Enjoy their small garden too! 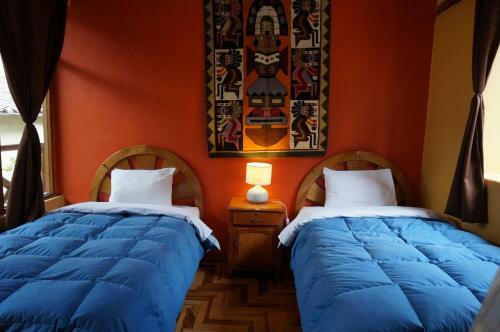 Killari Hostel boast some of the ancient Inca architecture and offers clean and safe accommodation. Enjoy the rooftops views from the balcony-like breakfast room. Wifi works best in the breakfast area. 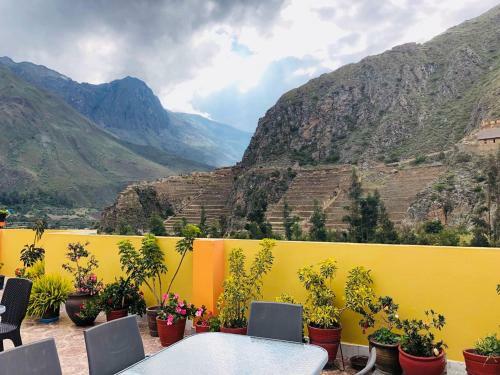 Technically a guesthouse, this place offers breathtaking views over the Ollantaytambo ruins, tidy rooms and great breakfast with a gluten-free option. Location is very central, so everything is within a walking distance. Nestle on the side of the mountain and a short bus trip from the town, this guesthouse offers large and comfortable rooms rarely found in the area for the price. Enjoy their homemade pizza and a variety of breakfast food. Perfectly located near the train station, yet close to the centre, this is a wonderful place to rest with amazing views. Service is great, because the owners are always nearby. It offers nice breakfast and spacious rooms. Although slightly on the more expensive end, as far as details go this place is rather nice. Attention to detail is amazing and translated well into the cosy traditional design. For breakfast you get eggs made to order along with the fruit, granola, cereal and more. With the views of the gardens, ancient ruins, and mountains, the place is definitely one of the best in Ollantaytambo. Apart from getting breakfast, you can also order packed lunches to take with you on your onward journey. 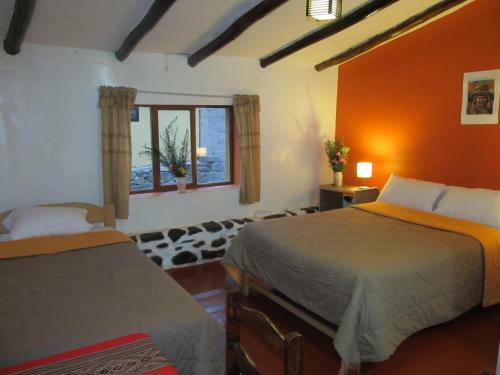 Still have questions about the best hotels in Ollantaytambo Peru? Leave a comment below and we will respond within 24 hours. If you have stayed in one of these hotels and would like to leave a review please do so below. Alternatively if you would like to suggest more hotels please contact us.